This article is published as Wang, S. & Beckett, G. H. (2017). 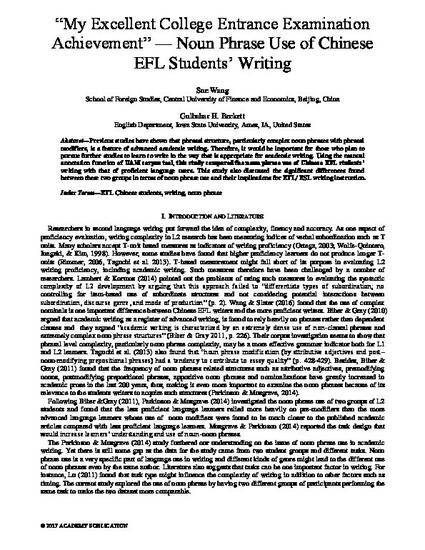 “My excellent college entrance examination achievement”: Noun phrase use of Chinese EFL students’ writing. Journal of Language Teaching and Research, 8 (2). 271-277. DOI: http://dx.doi.org/10.17507/jltr.0802.07. Posted with permission.